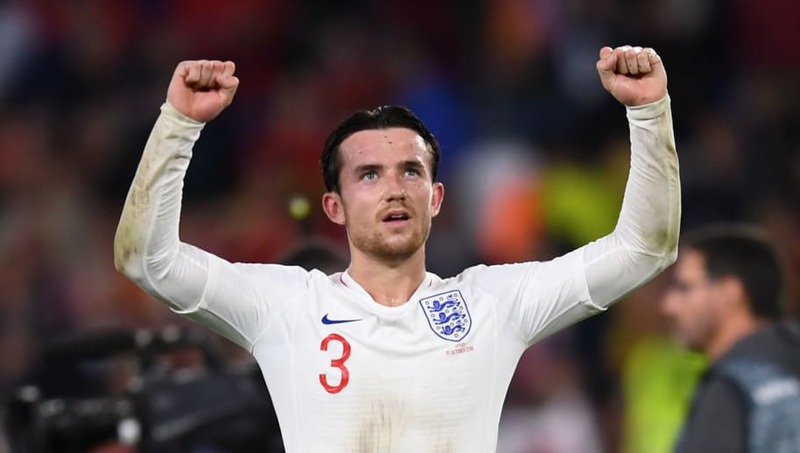 ​Manchester City are believed to be targeting a summer swoop worth around £80m for Leicester City's Ben Chilwell and Crystal Palace's Aaron Wan-Bissaka. The Citizens have one of the strongest squads in the Premier League, having splashed over £530m on new players during Pep Guardiola's two-and-a-half season spell at the club. However, with just four homegrown players on their books, the club are eager to bolster their numbers in that department come the summer transfer window. According to the Sun, Guardiola has identified Chilwell and Wan-Bissaka as ideal candidates to boost both the homegrown quota and his options in the full-back position. The report claims that the fitness levels of current first choice left-back Benjamin Mendy is a real concern for the Catalan coach, while Wan-Bissaka is seen as an ideal long-term successor to Kyle Walker. Having signed a new contract with the ​Foxes back in October, committing his future to the east Midlands side until 2024, Chilwell is likely to cost the ​Citizens at least £50m. Wan-Bissaka should be available for a slightly more modest £30m, given that he's only just his big ​Premier​ League breakthrough with the ​Eagles this season. It could be argued that, given the wealth of talented players available to Guardiola, a move to City could see either player stall their development. The former ​Barcelona manager has become for renowned for his penchant for regular rotation with the Citizens, and any new signings would most likely have to give up their ambitions of playing every week. In other news, ​Guardiola lavished Sergio Agüero with praise on Sunday, after the Argentinean ace's hat-trick helped his side to a ​3-1 Premier League win over Arsen​al. The City boss described his star striker as 'perfect', and generally praised his side for responding in style to their shock midweek defeat to Newcastle United.